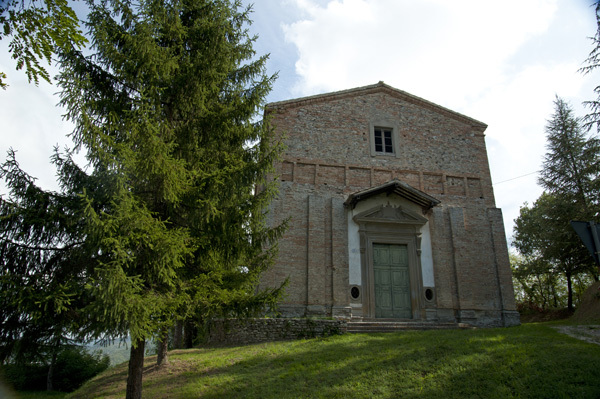 Along the way that leads to Pieve San Gregorio, just outside the walls, there is the Church of Madonna delle Grazie. Since the ancient times, the inhabitants venerated a painted image of the Virgin placed in a niche, invoking her as “Gratiarum fons” (source of grace). It is said that an angry man, who thought to be unfortunated, threw an object to the niche and hit the Virgin; the serene face started to bleed and the poor man, shocked, asked for forgiveness for his profane gesture and said he would have begged until he had enough money to build a church. In 1579, the Council of Priors decided to entrust the church to the Confraternita del SS. Sacramento which still owns it.